My Pampered Chef. I can't live another day without being betrothed to such a great entity. I'm madly in love. He gives me gifts. He swears he'll stand by me through a lifetime. First, they wowed me with the kit that every new consultant gets. Seriously, for the price you pay to get the kit, you are getting such a bargain, it won't even matter if you don't ever sell any products. Then, for reaching a goal, they sent me this. My official apron. And then, for reaching another goal, they sent me this, with a few other goodies in it. And then, for reaching another goal, they sent me this. A picanic basket!! And it's insulated! And it's happy and cute! And it zips closed! And I have never been on a picnic in my life! And I don't even know what I'll do with it! But I LOVE it!!! I love pampered chef stuff! Its so cool that you get all that! Wow! 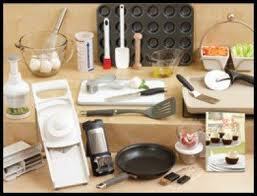 I love all of my Pampered Chef items that I've bought over the years! You will need to take your sister A-ster and baby L-ster on a picnic,in the park, in Maryland. I LOVE pampered chef! So cool! You almost have me wanting to sell this stuff--ha! That will never happen, but I love their products and it's cool you are scoring so much great stuff.